Today is the last day of Rick Daddario’s 30DOH challenge, which can be found at 19 Planets Art Blog! It’s been great fun and now I hope to continue – experimenting with new techniques! 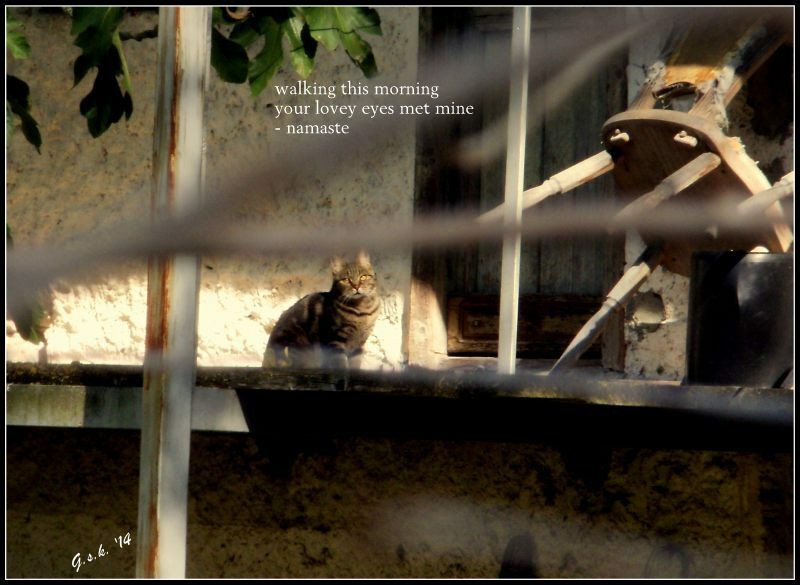 This entry was posted in Haiga and tagged 19 Planet Art Blog, 30 days of Haiga, Arco, Autumn, Italy, Namaste, photography, Zen. Bookmark the permalink. Was happy to have caught the pose … had to zoom and you know what that usually means … blurrrrrrrrrr. I was so happy to say Namaste to him/her. Some if my way-close zooms are so blurry….. Exactly … and yes a real piece of luck.